Bertoni's motorcycle goggles and sunglasses reduce the blinding light of the sun and the dazzling reflections that are hostile to motorbike riders and can cause problems. For this reason our motorcycle sunglasses are essential for all bikers. But not only. 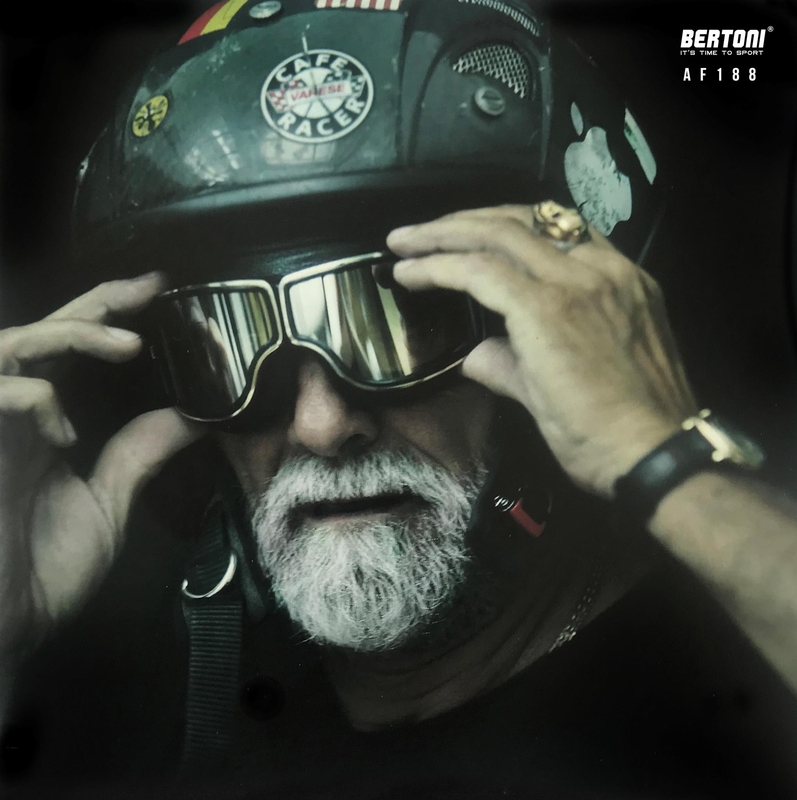 The Bertoni technical sport eyewear for motorcycle with their resistant, light materials, with their great grip and comfort, and with a wide range of sunsensor photochromic , antireflection , antifog and polarized lenses made for all visual conditions are the ideal choice for who has chosen to ride a motorbike.